TORONTO - The owner and chef of a Calgary restaurant located on the Bow River that was hard hit during last year's floods have been recognized for their work. 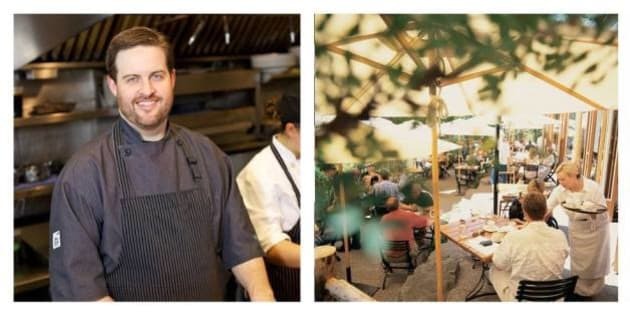 Sal Howell, chef/owner of River Cafe, was named best restaurateur in Canada at Monday's Terroir Symposium while Andrew Winfield, chef at the same restaurant, was cited as outstanding chef. The River Cafe, located on Prince's Island Park on the lagoon where the river passes though the downtown area, was flooded last June and forced to shut its doors until August. Guy Rawlings of Bar Isabel in Toronto, which was named Canada's best new restaurant for 2013 in an annual survey conducted by EnRoute magazine, won for outstanding service professional. Forbes Wild Foods in Toronto, which offers a large selection of wild foods harvested from across the country, was named outstanding supplier. The awards were sponsored by GE Monogram. Hooked, a Toronto fish shop run by chefs, won the OceanWise award for advocacy in sustainable seafood. Last year's outstanding chef was also a Calgary restaurateur. Connie DeSousa, co-owner of Charcut Roast House and a finalist in season 1 of "Top Chef Canada," took home the award. The eighth annual Terroir Symposium brought together more than 500 chefs, food writers, wine and food experts and culinary activists from Canada and abroad who explored this year's theme, "Get Growing: Community Building and Creative Collaboration in the World of Gastronomy."